CAUTION: Bonds Skin Instantly: Minotaurs Space Marines Part 6: Rhino Bull Rush! Minotaurs Space Marines Part 6: Rhino Bull Rush! Found a spare hour to build tonight, and decided to put together the two Rhinos from the Razorback kits. 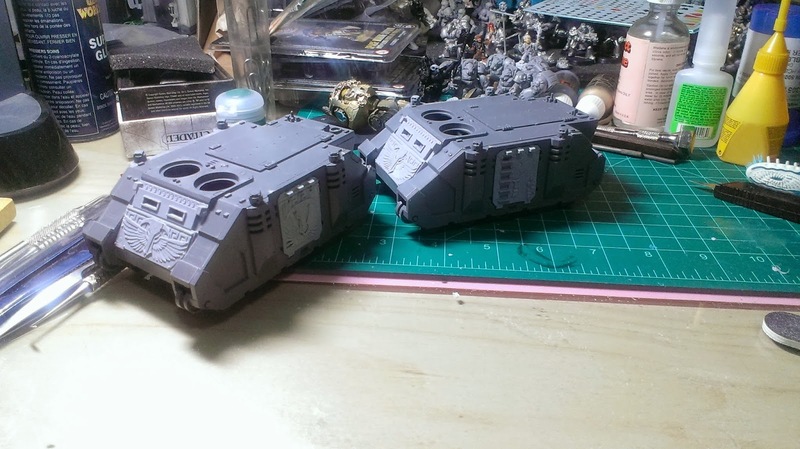 Minotaurs Space Marines Part 5: Pile it On! Minotaurs Space Marines Part 3: Enkomi Incoming!